We try to recruit the best volunteers for the need, and keep unwanted emails out of your inbox! Help us by keeping your profile information and preferences updated. Thanks for your interest in volunteering at The Byrd. Your commitment to community helps everyone continue to enjoy this unique Richmond landmark and cinematic experience. After registering you’ll receive an email with more details. 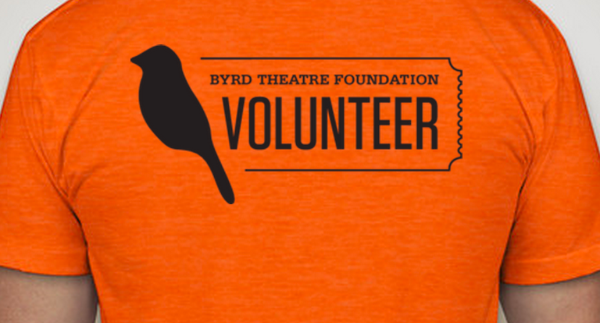 For information on the volunteer opportunities available at the Byrd Theatre, please click here. Student crediting hours for service points?